After announcing its 2018 iPad Pro, new MacBook Air and Mac mini at its event last week in New York City, Apple has officially launched sales of its newest devices today in Canada. 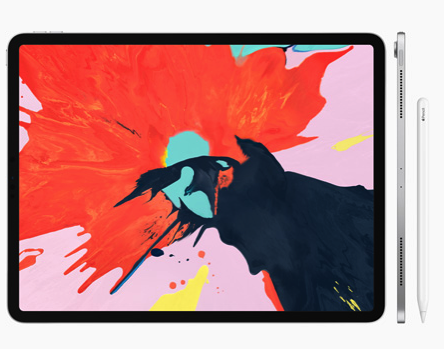 The new iPad Pro models start at $999 CAD for the entry 11-inch Wi-Fi model, topping out at $2399 CAD for the maxed out 12.9-inch cellular version. These new iPad Pro models feature Face ID, thinner bezels and now only work with the second-generation Apple Pencil. The new MacBook Air finally comes with a Retina display and upgraded trackpad and keyboard, starting at $1499 CAD with 8GB of RAM and 128GB SSD. A maxed out configuration with a 1.6 GHz dual-core Intel Core i5, 16GB of RAM and 1.5TB SSD costs $3239 CAD. The new Mac mini is now geared towards professionals, offering newer processors, faster RAM, Thunderbolt 3 and faster SSD storage, housed in the same design, starting at $999 CAD with 8GB of RAM and a 128GB SSD. The maxed out config with a 3.2 GHz 6-core Intel Core i7, 64GB of RAM, 2TB SSD and 10 Gigabit Ethernet will cost only $4999 CAD. All of these products are available on Apple.ca with in-store pick up possible for today. They are also available at authorized Apple retailers, such as Best Buy. What did you end up buying or plan to buy from this new batch of products?